For us Latinos is easy to entertain our friends and family when we prepare our favorite foods. However, we rarely plan a party thinking about our diets or the needs of our guests, let alone during the Super Bowl gathering. There is no need to impress or worry, following these tips you can make easy, quick and delicious food and beverage treats for a real touchdown. 1. Use low-fat ingredients: You can use low-fat yogurt or mashed black beans as a dipping sauce. 2. Increase the nutritional value of your favorite recipes with ingredients rich in vitamins and minerals. For example, serve guacamole with chopped pears or blueberries. 3. When you start the party, sit away from the buffet table and pay attention to the game. Not only you will spend more time with friends and family but you will also eat less. 4. Whenever your team makes a touchdown do a victory dance to burn extra calories. 5. If you are craving a meal that is high in calories, opt for a small portion and savor each bite thoroughly. For example, drink a mini Coke can with mini sliders. 6. Spice up food using fresh or dried spices like mint, ginger, cloves, nutmeg or citrus peels instead of high calorie ingredients. 7. Be adventurous and experiment with new flavors and ingredients from different countries. Instead of a hot dog wrapped in dough serve a spoonful of tasty mince wrapped in spinach leaves. 8. Choose fruits and vegetables bright colors for its rich antioxidant nutrients to serve on big trays. 9. We all know that pizza is a common meal during the Super Bowl, so instead of banning it make it yourself and add more vegetables and fruits. Sliced tomatoes, mushrooms or chopped pineapple can add a lot of flavor without sacrifice. 10. Grill everything and do not fry! If you are planning to serve wings use the oven instead of frying and you’ll even get that crunchy texture. 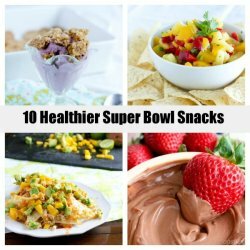 By following these tips you will make a big score for your diet and the Super Bowl will be successful at all levels! 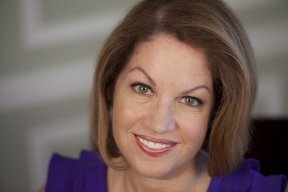 Sylvia Melendez-Klinger is a registered dietitian, mother and founder of Hispanic Food Communications Inc. She is also a consultant to various companies such as Coca-Cola, Kellogg’s, The National Fisheries Institute and others.